Antique books are already fascinating, but this one from the late 16th century is a truly special specimen. 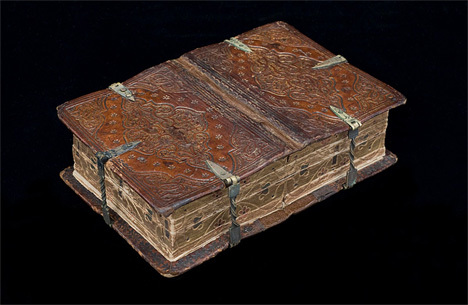 It was bound in the dos-á-dos (“back to back” in French) binding method. It looks like a single volume, but it is actually six books in one – it opens six different ways thanks to specially placed clasps. 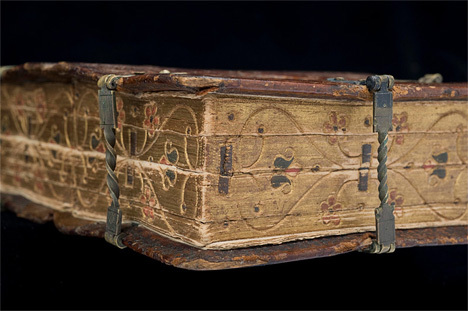 This unique binding method was used to make books that were typically used at the same time, such as a hymnal and a prayer book. This example is a small copy of a religious devotational text printed in Germany and currently displayed at the Rogge Library in Strängnäs, Sweden. Once you figured out how the clasps worked, it would have been very handy to carry this small volume around. It was a compact way to keep six different books in your pocket without taking up much space. 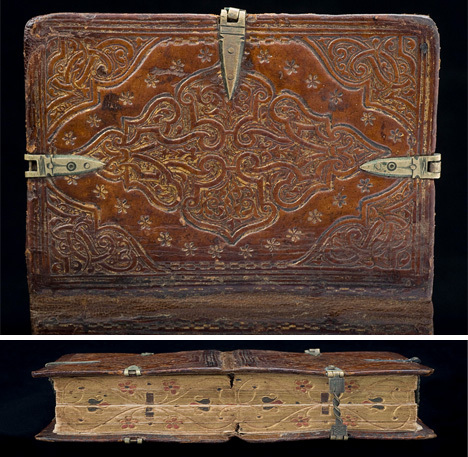 The incredibly ornate book is a masterpiece of 16th century bookbinding. And we have to say, it would be pretty hard to keep from opening and closing each of the six books over and over just because of the novelty factor. See more in Antique Gadgets or under Vintage & Retro. February, 2014.